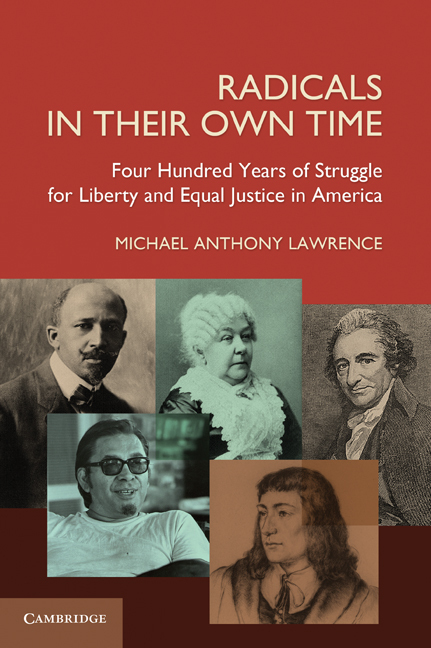 Michael A. Lawrence is the author of Radicals in Their Own Time: Four Hundred Years of Struggle for Liberty and Equal Justice in America (2011). He is a professor of law at Michigan State University College of Law, and is currently Associate Dean for Graduate and International Programs and was Associate Dean for Academic Affairs from 2001 to 2003. Professor Lawrence frequently lectures and teaches short courses on these and other topics in various countries around the world. He blogs at greatamericansblog.blogspot.com.